Surprise! Today I have a little gift for all of my wonderful readers! I wish I could get holiday gifts for each of you, but since that's not really feasible I wanted to at least give you gift tags as a thank you for reading my blog and being so lovely. I love dressing up presents with bows, ribbons, and cute little gift tags. This year I decided to get more hands on with my wrapping so I designed my own printable gift tags. 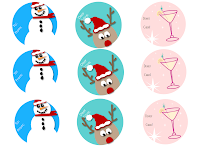 Check out the cute (if I do say so myself) snowman, reindeer, and cocktail printable gift tags I created this year. 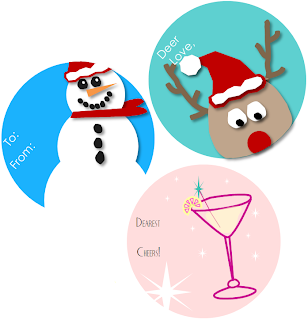 Just print, cut, and adore your gift with them! 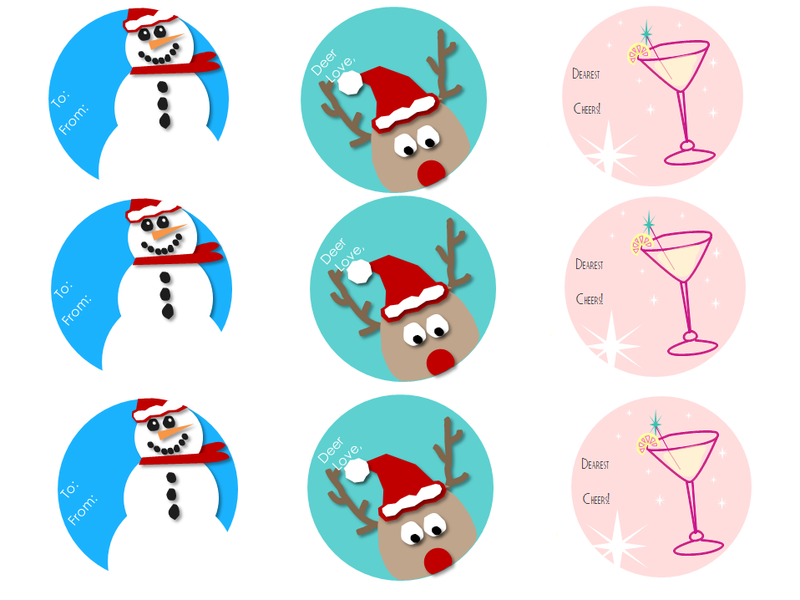 If you'd like to use these free printable gift tags, just click the image below to enlarge it and then print. I hope you enjoy them, happy holidays! This post is shared on Skip to my Lou, Making the World Cuter, Sumo's Sweet Stuff, CraftOManiac, Keeping it Simple, Texas Monkey, Craft. How cute! Thanks so much for sharing! Really cute! Thanks for sharing with us. Have a great day!